We hope to offer a spirit of welcome and belonging to all who visit with us. You are welcome to join us for worship anytime – come as you are! Included here is some basic information that might be helpful in advance of your visit. If you don’t find what you are looking for, give us a call at 502-239-3231. Click for map and directions. We worship at 10:30am in the Sanctuary. The worship service generally lasts about an hour. During the summer months of June (beginning June 9), July, and August, there is an additional service at 9:00 a.m. in the Sanctuary. This is a more casual service and will include communion each Sunday. We hope that our worship is meaningful for people with a wide variety of life experiences. Our church includes people with a range of theological and political opinions. Through our worship and Christian Education, we seek to discuss how Scripture interacts with the current issues of our day and respect a variety of viewpoints. We believe that our faith is involved in our personal lives, as well as our lives outside of the church. We would love for you to share the journey of faith with us! At the beginning of the service, a folder is passed for all worshipers to sign. We call this the “Who’s Who in the Pew” pad. We encourage everyone to leave ways for us to be in touch to offer a more personal welcome during the week. Your email, phone number and address are helpful to do so. We won’t share your information with anyone; its use is limited to our ministry of hospitality. We don’t ask visitors to be identified in any public way, but we do want to be welcoming to all who visit our faith community. Children aged 5 and below are invited to stay for the whole service, just for the beginning, or to spend the whole service in the nursery. This decision is up to you and your family. 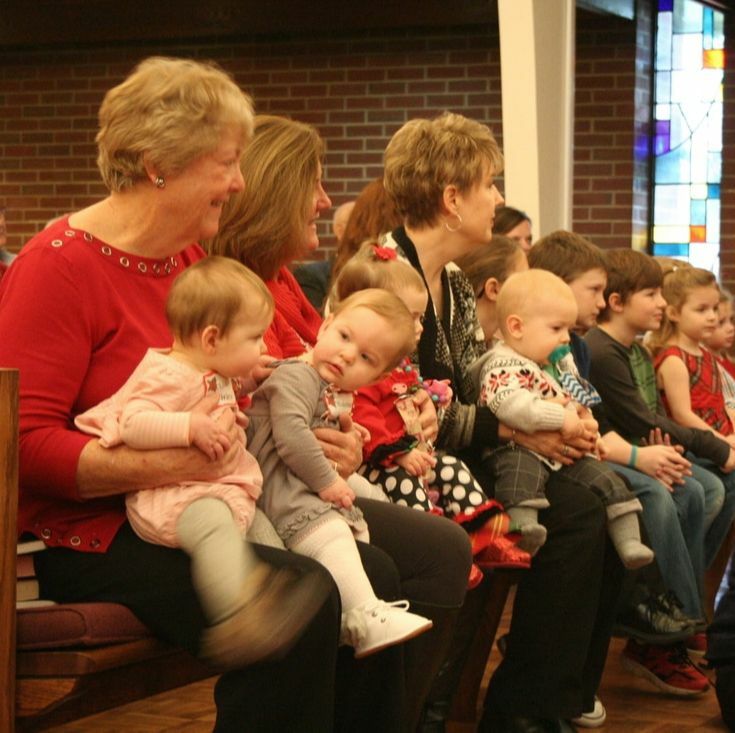 For those who come to worship, a Time with Young Disciples is offered when children join the pastor in the front of the sanctuary for a special message. After this time, children age 5 and below may go to the nursery for childcare if they like. Worship activity bags are available in the back of the sanctuary to offer children faith activities during the service. Rocking chairs are available in the back of the sanctuary for those who may be more comfortable holding, rocking, or nursing a child there than in the pews. Beulah Church has good accessibility. Handicapped parking spots are available near the church building and in front of the Ramsey Activity building. For worship, you can enter through the Main Entrance by following signs to the Church Office. An automatic door is located at that Entrance and at our Preschool entrance. If you want to go directly to the sanctuary, take a left upon entering and remain on the main level as you go through the double doors. If you want to stop in the restroom or go to the Christian Education area or office, take the ramp on the right, which will lead you to that level. The Ramsey Activity Building is also accessible; the second floor may be accessed by a ramp, which faces Beulah Church Road. We invite you to come in what makes you comfortable. You’ll find a range of clothing among our members and friends, from jeans and t-shirts to jackets and skirts. Enter the church parking lot through the entrance on Bardstown Road or Beulah Church Road. Park anywhere you like. Entrances are located on the side of the building that faces away from Bardstown Road. The Main Entrance, closest to the sanctuary, is located near the Handicapped Parking spots – follow signs to the Church Office or come in through the large, stained glass doors. To guide worshipers during the service, we offer a printed bulletin (program) that will list the order of the service for the day. Bold-faced type in the bulletin shows parts of the service that the congregation reads out loud together. Hymn numbers are listed which refer to our Glory to God Hymnals and our smaller hymnal supplement book, Sing the Faith. The Lord’s Prayer and Apostles’ Creed may also be found in the front of our hymnal on page 35. We generally serve Communion (also called the Eucharist or the Lord’s Supper) on the first Sunday of the month. Everyone who feels called to participate in the meal is welcome to do so, including children who are learning about Christian faith! A gluten-free bread option is offered at each communion service. If you are moved by participating in the meal, you’re invited to speak with the pastor who can talk with you more about your faith. Toward the end of the service there is a time when we share our offerings with God and the church. This means money, time, and the work of our hands and hearts. People who are a committed part of the church as members or friends regularly offer financial contributions by making a gift in the offering plate or making a gift by automatic bank deposit. If you are a visitor, we consider your presence with us your offering and we are thankful for your presence. If you still want to give, please know that you are supporting the ministry and mission of Beulah both inside and outside the church’s doors. Sunday school is available for all ages at 9:30am on Sundays beginning after Labor Day in September through May. Children’s classes meet in the Ramsey Activity building, just across the parking lot from the main church building. Childcare is available for children ages infant – five years in our Nursery, located in the Christian Education area of the main building. For the nearest entrance, follow signs to the Preschool. On Sundays, the nursery is staffed by both a staff member and church volunteers. A changing table with diapers and wipes is available for use in the nursery, whether your child is staying in the nursery or remains with you in worship. Youth classes for students in grade 6-12 meet in the youth rooms which are upstairs in the Ramsey Activity Building, which also houses our gym. The Ramsey Building is just across the parking lot from the main church building. 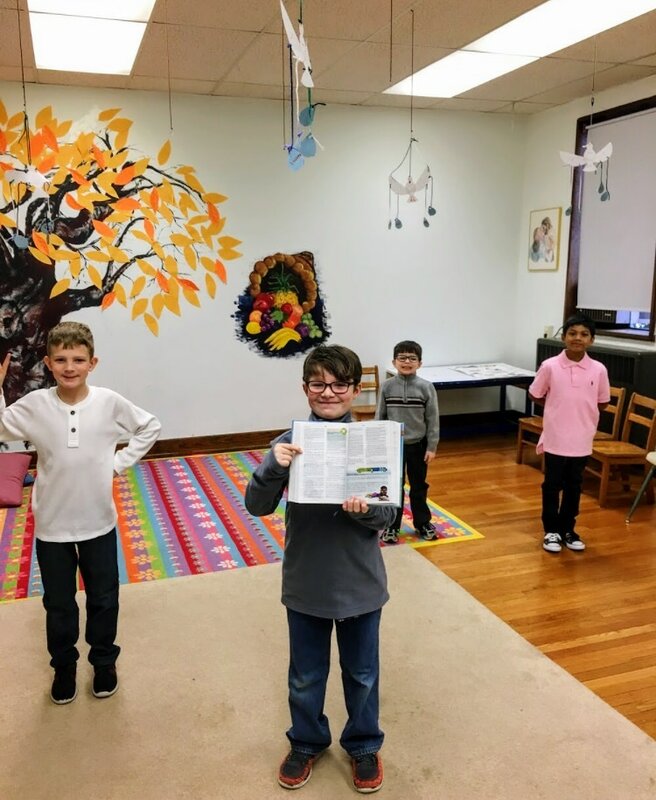 FIDELIS CLASS meets upstairs in the John Knox Room in the Ramsey Activity Building, which also houses our gym and is located just across the parking lot from the main church building. This class enjoys conversation around Bible study, theological topics, and faith-related book studies. CONVERSATIONS CLASS meets in the Library in the main building. This class discusses current events and theology, and sometimes uses a theological book as a guide. Our community gathers in the entrance area for cookies and coffee when the worship service ends and enjoys catching up with one another and meeting new faces. We hope you will join us and get to know us a little better!